Friday: The Nightly News. 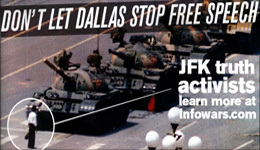 On The 50th Anniversary Of JFK's Death, Dallas Authorities Assualt 1st Amendment Protestors Caught On Live Streaming Video. 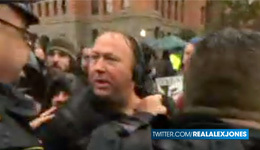 Friday: The Alex Jones Show. Dallas Authorities Assault Peaceful Protesters Exercising Their 1st Amendment Right, On Live Streaming Video. Thursday: The Nightly News. 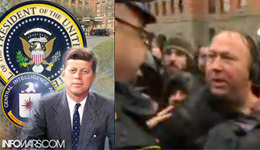 The Infowars Crew Defends & Exercises The First Amendment At The Historic Location Of JFK's Murder. Thursday: The Alex Jones Show. 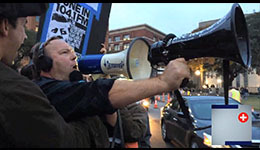 Reporting Live From The Fronts Lines Of The Info War, Alex Jones & Crew Are In Full Effect At The Scene Of The Kennedy Assasination. 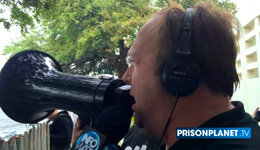 Wednesday: The Alex Jones Show. City Of Dallas Paves Over Historical Site Of JFK's Assasination At Dealey Plaza As Truth Seekers From Around The World Descend. Tuesday: The Nightly News. 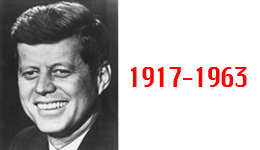 City Of Dallas, Tx Attempts To Limit The First Amendment As International Media Descends For The 50th Anniversary Of JFK's Assasination. Monday: The Alex Jones Show. 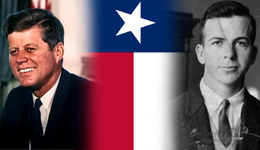 JFK Assassination Victim Given Pariah Status Speaks Out. Plus, Fukushima Radiation Levels Rising In California With Chemical Physicist Dr. Busby. Sunday: The Alex Jones Show. Leaked Video: FEMA Preparing Military Police For Gun Confiscations and Martial Law. 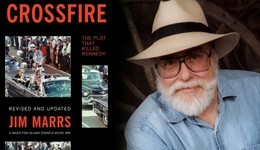 Plus, Investigative Journalist Jim Marrs Joins Us In Studio. Friday: The Alex Jones Show. 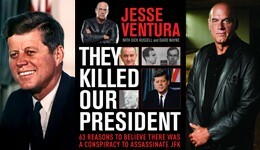 Exclusive Interview With Jesse Ventura On The Release Of His New Book "They Killed Our President" With New Information On JFK Assasination. Monday: The Alex Jones Show. GOOGLEBERG: The Technocratic Takeover.